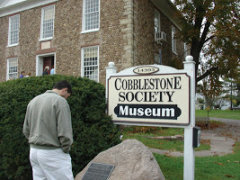 Experience a bygone era at one of New York State's many "Living History" museums. 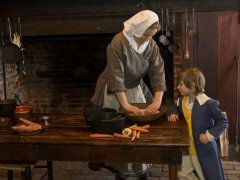 On Long Island, at Old Bethpage Village Restoration, watch a pre-Civil War Farm Village come to life or attend a class in a 19th century one room schoolhouse. 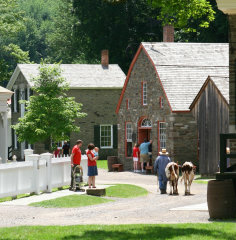 The Farmers Museum, in Cooperstown, is an open-air museum recreating 19th century life with authentic settings and costumed spinners, weavers, a blacksmith and a broom maker, among others. Erie Canal Village, in Rome, has 19th century buildings on the banks of the canal, with a mule-drawn packet ride, and the Chittenango Landing Canal Boat Museum, with the only recovered historic dry dock in New York State along the Erie Canal, brings to life what served as the historic equivalent of a ‘truck stop' with a reconstructed canal boat, blacksmith shop, sawmill and general store. 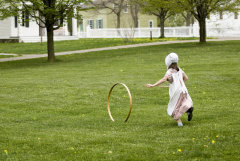 At Genesee Country Village & Museum, in Mumford, amble down country roads to pioneer farmsteads and Victorian mansions. 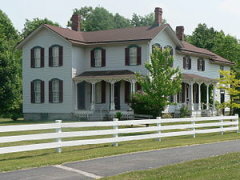 Genesee Country Village is the largest living history museum in New York State and has one of the largest collections of historic buildings in the Northeast. The Hanford Mills Museum, in the Catskills town of East Meredith, features a circa-1840 water-powered grist and wood-working mill. Spread out over 70 acres, the museum also contains fifteen historic 19th century structures. Watch history come alive at Historic Richmond Town, a living history village on Staten Island that lets you experience colonial life firsthand. 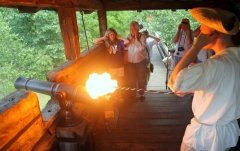 Walk through real restored homes and other buildings including a general store and a courthouse. 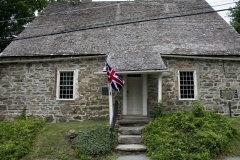 The village also includes a museum with exhibits that portray many aspects of American life from the 1700s through today. In the Hudson Valley, Historic Huguenot Street, a National Historic Landmark District, includes seven 17th and 18th century homes in their original village setting.